This is unique opportunity to see the Nation's Capital your way. 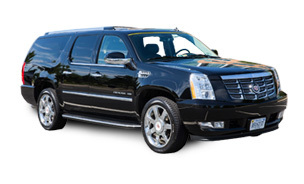 In a six passenger luxury SUV you can do educational overview of the major highlights in short time frame privately. Highly recommended for families that want to avoid groups and for anyone with limited time in DC. Most importantly, if Washington Monument and The Bureau of Printing and Engraving is important to you the tour has Washington Monument Tickets included. You also get a chance to glimpse The White House, otherwise known as the home of the presidents dating back all the way to the 1800s. It was burned in the 1814s during James Madison’s presidency, but was later restored in the 1817s by James Monroe. Another stop is at the Bureau of Engraving and Printing where the nation’s paper money is created. The interesting thing about this building is that even with the advancement in technology master money-makers are still using the original tools like a burnished, graver and a hand-held glass. If there are sites you would like to include you can notify your tour guide and that can be accommodated.